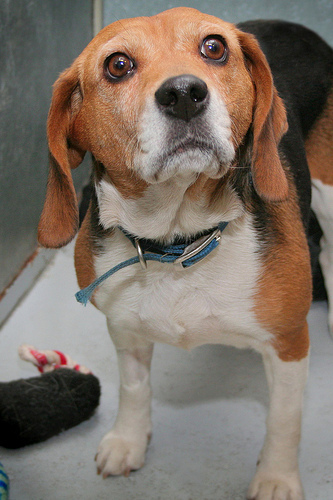 Bella did her job... now help us do ours: help the Ottawa Humane Society find Bella a home. Bella the morning after her seven pups were born. Mama beagle Bella arrived at the Ottawa Humane Society in September – a pregnant, sick stray. 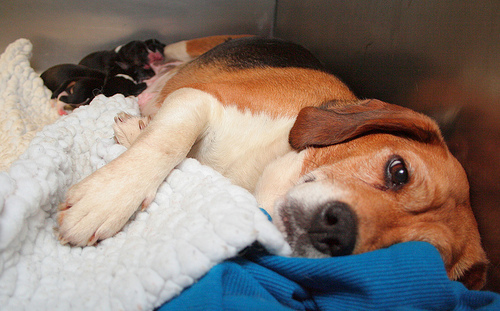 She gave birth to seven puppies, five of which survived and were quickly adopted out to loving forever homes. 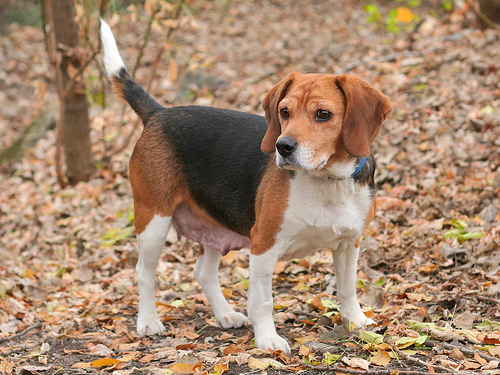 This three-year-old polite, affectionate beagle was nursed back to health following a bout of kennel cough, dental surgery, spaying and vaccinations. As much as she adores the attention lavished on her at the OHS, she really wants the love and comfort of a family of her own for Christmas. That’s the Christmas wish of OHS staff too – to see Bella welcomed into the hearts and home of a compassionate, caring family very soon! Twiggy: a very special dog! We need 100 chairs for our new classroom! OHS Warm Hearts Raffle is back!